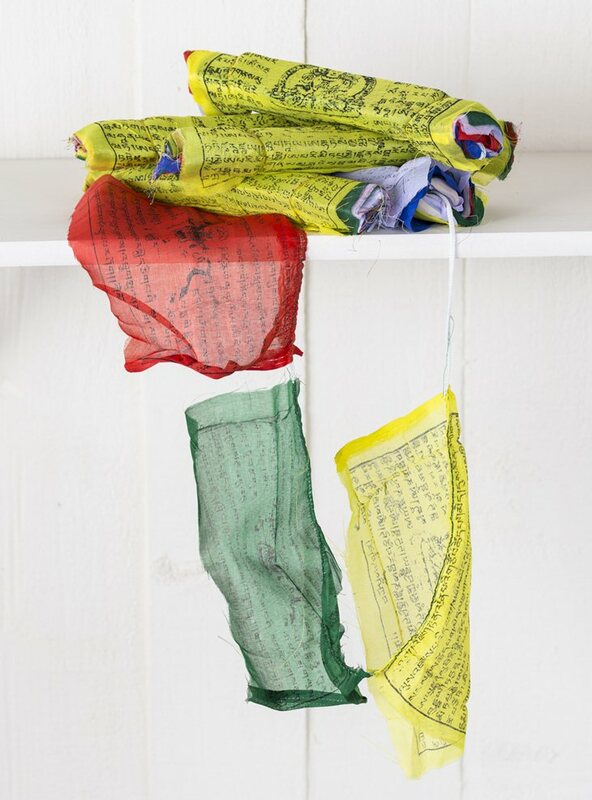 Medium Nepalese prayer flag single. Made from fabric using traditional techniques in Nepal. Each string is individually made so no two will be the same. A lovely addition to any room in the home. Approximately 15cm x 15cm (per flag) String length 720cm. Care: Wipe clean do not soak, Do not bleach, Do not tumble dry, Iron on a low heat, Do not dry clean. Colour may run when wet do not wash with other items.